A steel tag that can be steel stamped or etched, featuring a padlock design for easy fitment to the item to be identified. Pre-stamped with the wording “SER NO.” to save time, the tag can also be spot welded to ensure it is secure. Ideal for use on a wide variety of lifting equipment where there is a need for a robust, highly visible identity tag. 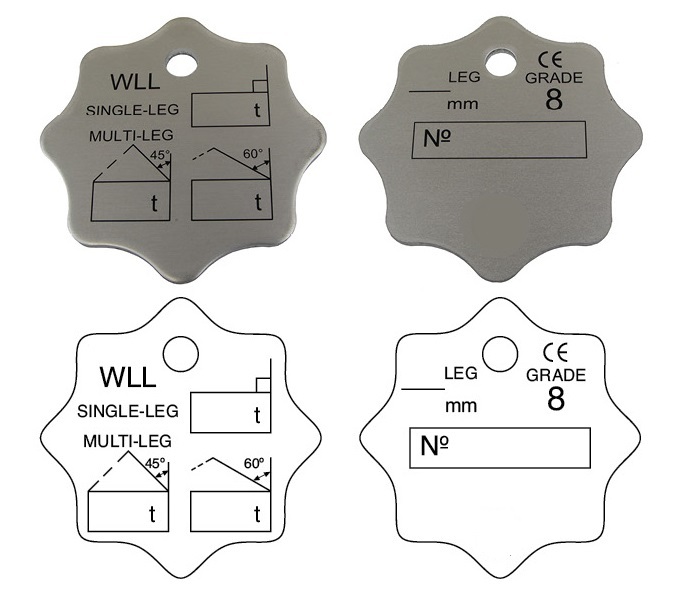 A steel tag that conforms to the marking requirements of EN 818-4, used for the identification of chain slings and available for both grade 8 and grade 10 systems. 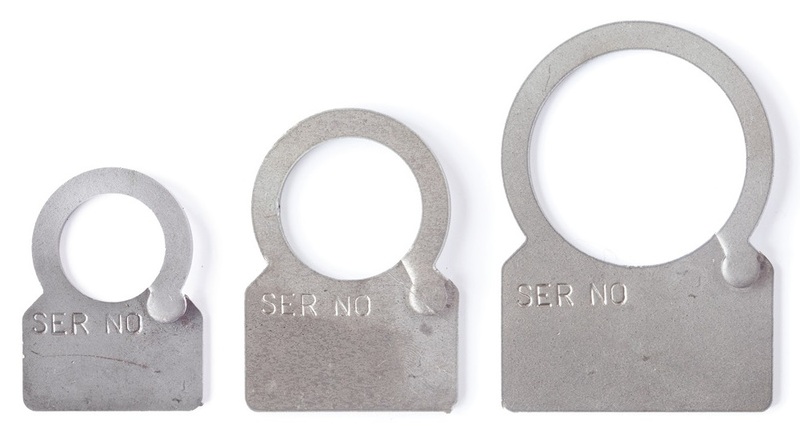 Tags are supplied with a connecting link that when fitted, is spot welded to ensure it does not become detached. The tag is clearly marked with all the loading information required for chain slings manufactured to EN 818-4. We supply a range of tag systems suitable the identification of lifting equipment. A wide variety of colours offer a clear indicator as to whether the equipment is covered by a current examination report. Below are a sample selection of types, colours and text that are generally from stock, however we can offer other colours and bespoke printing to order.